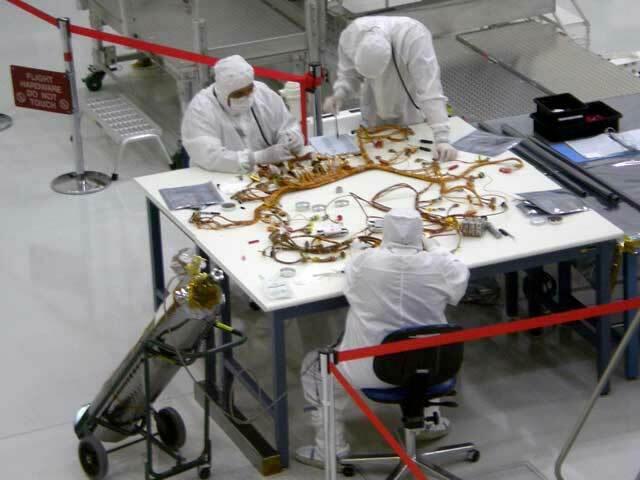 According to ExtremeTech, NASA’s Curiosity rover is powered by a RAD750 motherboard that contains a PowerPC 750 CPU, which is equivalent to a PowerPC G3 in the Mac world. That may be so, but by today’s standards it’s old tech – and there are reasons for that. The CPU runs at a leisurely 200 MHz, which seems slow to us. While Curiosity just landed, design work started years before, during the 2004 to 2008 period. Spacecraft are not produced overnight. Once a design is committed, the software is written and checked many times for flaws. Using the latest hardware and software would allow undiscovered bugs to pass through, threatening the mission. Ever since Apollo, NASA has depended on late-model, low-end CPUs to do the heavy lifting for its missions. 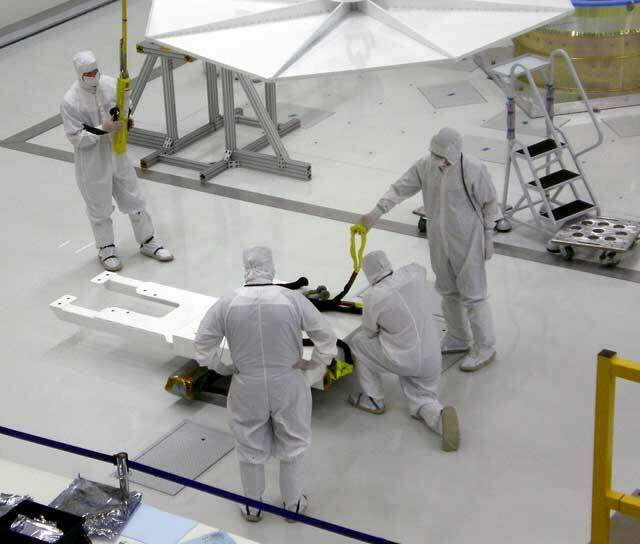 Curiosity was originally slated for a 2009 window, but delays in the hardware testing caused NASA to delay the launch until now. Every NASA mission is essentially robotic – at the distances these probes operate, remote control is impractical. 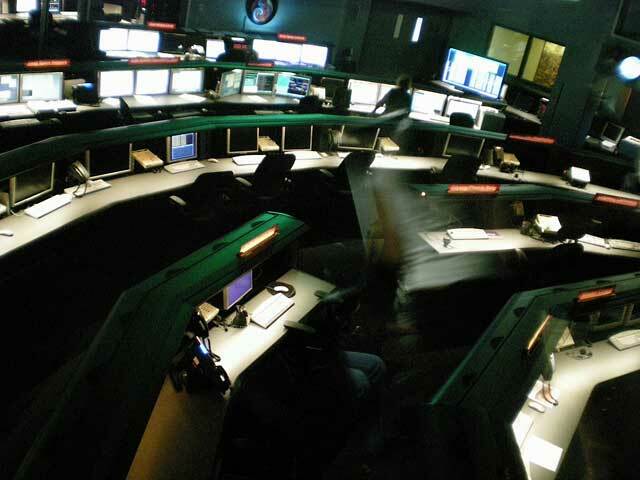 Fifteen minutes or more can elapse between command transmission and reception on Mars, so you can’t tell it to look out for a cliff – by the time you warn it, the probe would have crashed. Thus, while large and impressive looking, progress is slow and careful, and a 200 MHz computer is more than enough to keep up with the tasks required. Curiosity will be operated like the Spirit and Opportunity rovers. They do not drive around autonomously, and they are not remote controlled. Each day or so a plan will be uploaded for the rover to execute. Some days it may travel only a few feet; other times it will remain stationary for days at a time as various instruments do their tasks and upload data to an orbiter for relay back to Earth. Special front-end software will allow operators to visually plot a course over the rough terrain to avoid obstacles and pick targets of interest during the journey. The rover is expected to operate for more than a decade using a nuclear fuel cell for power. Given the size of the rover (as big as a small car), solar panels were deemed impractical for a reliable power source. Mars has seasons just like the earth, and at least one probe (Phoenix) was buried beneath snow and ice during the winter, rendering its solar panels useless. The software is not a Mac OS. It uses an operating system called VxWorks, developed by Wind River Systems. While it is old, it is still being developed and is considered very reliable. It is used in such things as Apple’s AirPort Extreme WiFi hub, the Mars Reconnaissance Orbiter, and various other technologies. The article at ExtremeTech gives the particulars. Wind River claims that VxWorks is used in over a billion embedded systems worldwide, including commercial airliners, and is chosen because of its track record of reliability. Equipped with 2 GB of flash storage and a second CPU ready to take over in case of failure, the Curiosity probe must not only deal with the wide temperature range on the surface of Mars (on a warm day on the equator you’d be lucky to reach a temperature a human could find comfortable, and at night the temperature falls to far below freezing), but the fact that a lack of a substantial atmosphere and magnetic field allows ionizing cosmic rays to penetrate the electronics of the computer. Randomly changing 0’s to 1’s in a CPU might cause problems. Built-in error detection and correction helps minimize the effect. A duplicate CPU is on board just in case the first one fails. 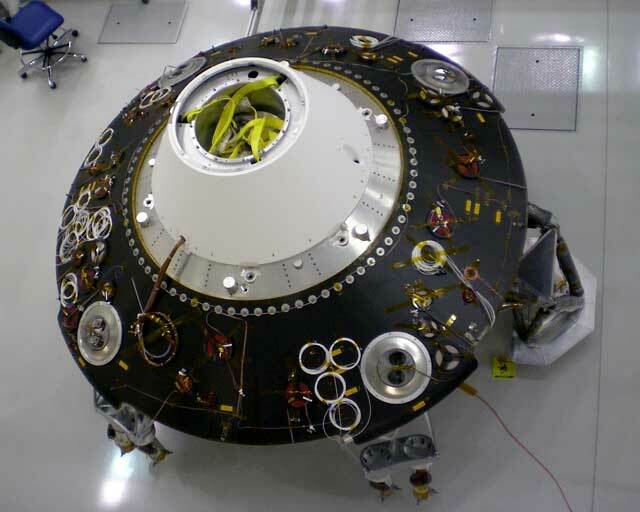 Like all late-model NASA probe, Curiosity is capable of detecting a software fault or hang and can reboot itself and reestablish contact with earth if a critical failure does occur. It has been said that the NASA’s Voyager probes’ software was upgraded faster than the hardware wore out through software upgrades transmitted across the solar system. Imagine not only upgrading your computer wirelessly, but rebooting and rewriting its software even as you attempt to work with it! An inertial sensor allows the computer to know the orientation of the rover with respect to the vertical in three dimensions. These are the same kind of acceleration sensors used in game controllers and accelerometers in modern cars and Segways. So the rover has some kinship with the Nintendo Wii as well. 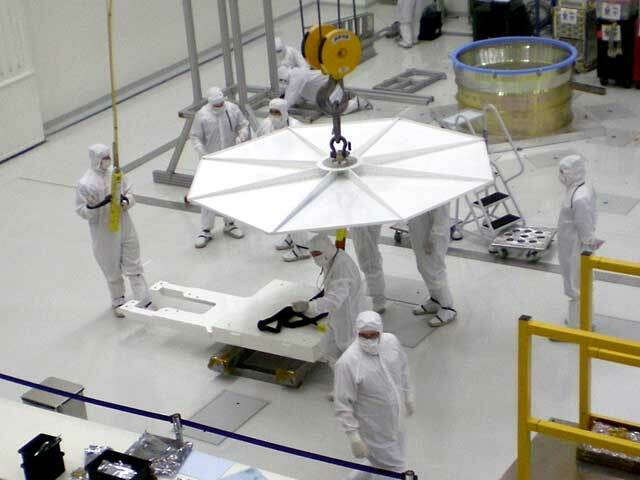 Attached are pictures of the assembly of the Curiosity probe I took when visiting JPL in 2008. 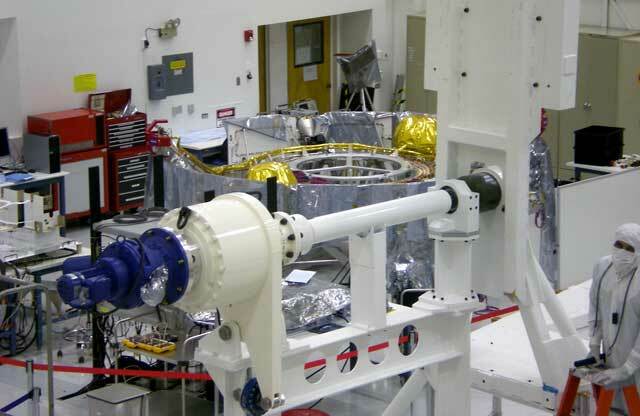 You might recognize the heat shield, some of the internal hardware of the rover, and various other components. The lesson for those of us interested in older Macs is that even an aging PowerPC processor can be useful. If it can operate a Mars rover, the only thing limiting its usefulness here on Earth is our imaginations.